A historic shipyard on the outskirts of Potrero Hill, Pier 70 is undergoing a renaissance as a Forest City Project. As the shipbuilding industry declined post-WWII, the massive area fell into disrepair, leaving crumbling structures and an inhospitable neighborhood behind. More recently, artists have been flocking to the area to take advantage of the reasonably affordable and spacious workspaces, as they are wont to do. 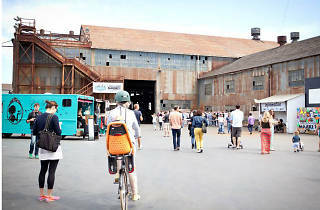 With 69 acres to spread out, it has become a redevelopment hot spot, with plans for more artist studios, up to 600 middle and working class homes and a massive waterfront park. 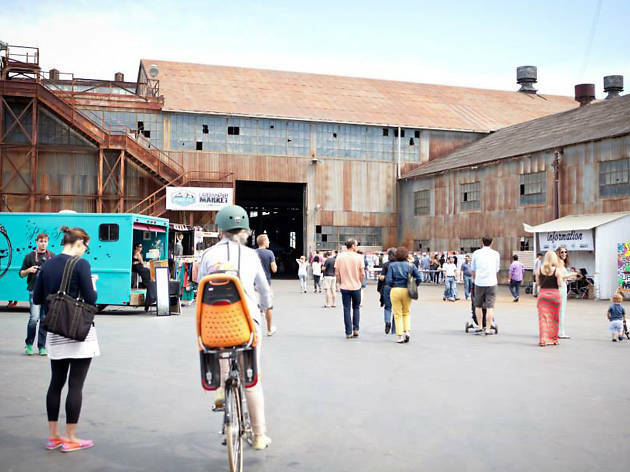 The site already plays host to annual events, like the Open Air Arts and Makers Market and Ghost Ship Family Halloween Day.